Home parties can include birthdays, baby showers, retirement parties, just about any kind of celebration at your home. These events are usually up to about 15 people, 1 artists for 1 ½- 2 hours. 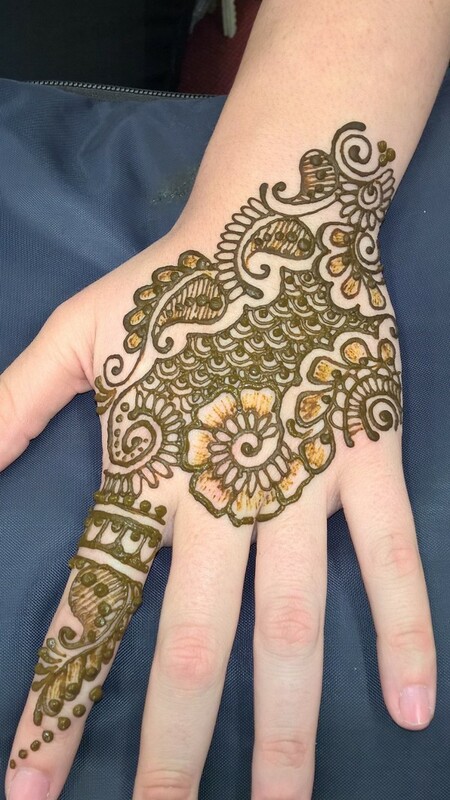 Home parties are scheduled at a flat rate fee of $150 for Henna and $200 for Jagua. We are somewhat flexible on time and number of people there. If you need individual pricing for a larger home party just give us a call. There is sometimes a $40 travel fee depending on where the event will be. For these events, we usually bring a smaller book of about 80 designs. This book is changed every year to keep the ideas fresh and has designs that appeal to kids and adults. It also has a range of traditional as well as tattoo style pieces. These designs are small to medium sized so that we can do them in just a few minutes. 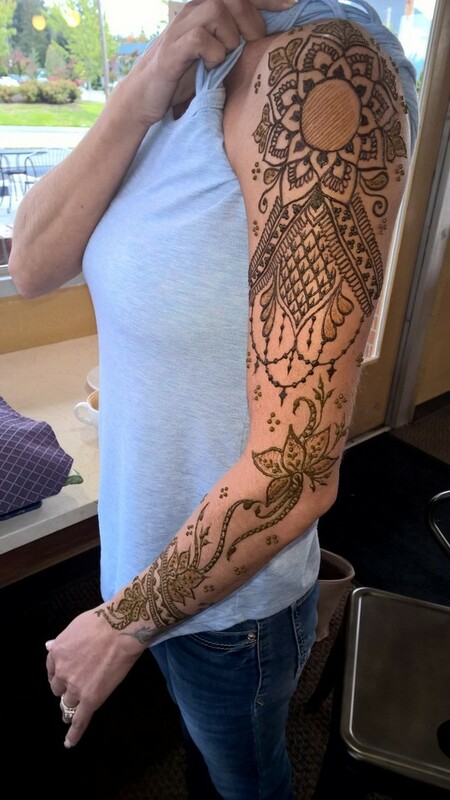 That way we can work very fast and get to everyone that wants to experience Mehndi MadnessTM! Wedding designs are not avqailable for this option. Feel free to contact Krysteen for any reason.